Faraaz Ayaaz Hossain has been recognised as a graduate by Goizueta Business School of Emory University in Atlanta, Georgia. Apart from this, the US university also introduced the Faraaz Hossain Core Value Award, the first of which went to Gurbani Singh, a student of the university. Faraaz, a student of the business school, came to Dhaka on May 18, 2016, to spend his summer holidays. 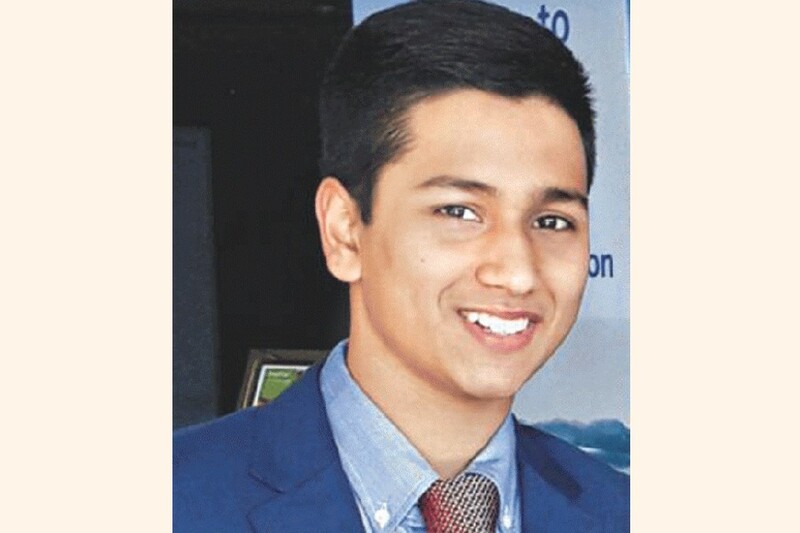 He went to the Holey Artisan Bakery in Gulshan with two friends -- Abinta Kabir, a US citizen and also a student of Emory University, and Tarishi Jain, an Indian and a student of the University of California, Berkeley-on July 1, 2016, the night militants attacked the café. The attack left 22 people dead -- nine Italians, seven Japanese, two Bangladeshis, a Bangladeshi American and an Indian. Six militants were killed during the joint forces operation the next morning. The militants who attacked the café that night had agreed to let Faraaz leave. But he refused to let his two friends go since they were foreigners. Faraaz refused to abandon his friends and chose to stay with them. All three were eventually killed. Faraaz was the grandson of Latifur Rahman, chairman of Transcom Group, and Shahnaz Rahman. He was the son of Simeen Hossain and Muhammad Waquer Bin Hossain. Before going to the US, he studied in Sir John Wilson School and American International School in Dhaka. Faraaz has also been honoured with a place in the Garden of the Righteous at the Italian embassy in Tunisian capital Tunis. The Milan-based non-profit Garden of the Righteous Worldwide (GARIWO), with help from the Italian foreign ministry, took the initiative to set up the first Garden of the Righteous in an Arab country on July 15, 2016. The garden hosts trees and memorial stones dedicated to five righteous Arab and non-Arab Muslims, including Faraaz. The tree dedicated to Faraaz bears the inscription: "In Dhaka, he chose not to leave his friends and was murdered by the terrorists." In March this year, students of Rummo High School in Benevento of Italy planted a tree honouring Faraaz. After the Gulshan café attack, Faraaz became a synonym for friendship and his sacrifice is being recognised across the world. He was awarded Mother Teresa Memorial International Award for Social Justice in November 2016. Faraaz's mother Simeen and elder brother Zaraif Ayaat Hossain received the award in Mumbai. In recognition of his act of valour, PepsiCo Global launched the annual Faraaz Hossain Courage Award in 2016, setting up a fund of $200,000. The money would allow a $10,000 prize to be awarded every year for the next 20 years. The purpose of the award is to recognise individuals for their acts of exceptional courage and empathy, the very spirit Faraaz showed. Md Miraz Sarder, who caught one of the attackers of a Madaripur college teacher red-handed in June, 2016, was conferred with the Faraaz Hossain Courage Award 2016. Miraz was awarded for his courage and for standing up to protect a fellow human while in the face of extreme danger.